This download mirror is located in Nürnberg, Germany. Swiss visitors should better use the Swiss mirror at ETH Zürich. 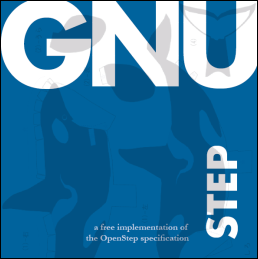 For detailed informations about the GNUSTEP Live-CD see the official site. GNUstep (this is a Live CD, an OS, a distribution) contains a lot of software for GNUstep, a free implementation of the OPENSTEP framework (which was also the base as Cocoa in Mac OS X). It includes an excellent application called Gorm for RAD (Apple Software Design Guidelines). More about the Objective-C Language. More on OPENSTEP and GNUstep. Why? The currently used window manager is Window Maker.